Chronic neck pain is a common complaint, and can have a wide variety of causes. It can be from something as innocuous as poor posture, or something progressive, such as the wear and tear from arthritis. It can also be a symptom of a more dangerous underlying condition. You should immediately consult a workers compensation physician in Arizona if you notice that the neck pain suffered as a result of a work injury is associated with numbness, loss of sensation, as well as motor weakness and loss of control over the arms and hands. If the character of the neck pain is shooting into the shoulder or down the arm or the neck pain is associated with difficulty of breathing, you should also talk to your physician. 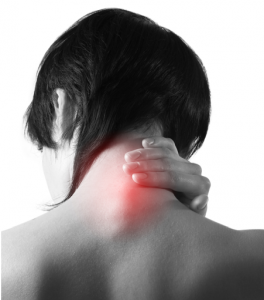 Neck pain can have a wide spread of possible locations. This can occur anywhere from the bottom of your head, or anywhere to the shoulders. The pain can be localized, or may spread to other locations, such as the upper back or arms. Depending on the underlying cause, neck pain may also be associated with limited movement of the head and neck. 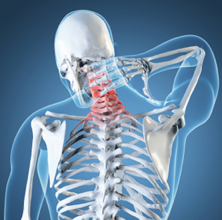 Most cases of chronic neck pain are caused by repetitive strain on the neck. Poor posture, or occupations that cause strain on the neck have been observed to continually and progressively strain the neck, leading to injury (such as the sprain of neck ligaments, or strain of the neck muscles) or spasm of the neck muscles. Activities that require repeated or prolonged movement of the neck muscles have been observe to cause chronic neck pain. Tension from stress and intense focus can also cause neck pain. Acute causes have also been identified, particularly injuries from accidents. Whiplash results from rapid acceleration-deceleration of the cervical spine, causing strain to the neck muscles and ligaments. Acute physical trauma from falls, direct blows, or sporting-relating accidents can cause chronic neck pain. Arizona IMA offers Double Board Certified pain management treatment for those who need treatment under a personal injury claim. Neck pain can also be caused by more serious medical conditions such as arthritis, cervical spinal stenosis, meningitis, fibromyalgia, or torticollis. It can even be referred pain from other locations, such as the temporomandibular joint, or the heart (in cases of myocardial infarction, or heart attacks). 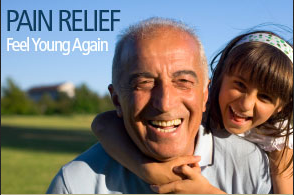 The treatment options for chronic neck pain will depend on the underlying cause. It is important to seek consult with a licensed physician. Your Workers Compensation pain management physician will conduct a complete medical history taking and physical examination to identify the possible underlying causes of your chronic neck pain. Additional ancillary examinations may be requested, such as X-rays, CT scans, or even MRI scans. The treatment of neck pain will depend on the identified underlying cause. If the pain is caused by muscle or ligament strain, symptomatic interventions may suffice. This includes medications, such as anti-inflammatory and analgesic oral medications, to nonmedical interventions, such as the application of a warm compress and even acupuncture.